The Crumpet: The January Crumpet Amateur Nail Art Contest - Winner !!!!!!!!!!!!!!!!!!! 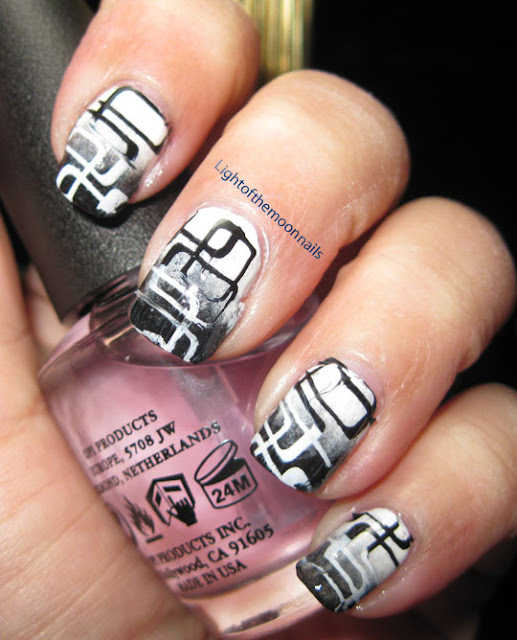 The January Crumpet Amateur Nail Art Contest - Winner !!!!!!!!!!!!!!!!!!! 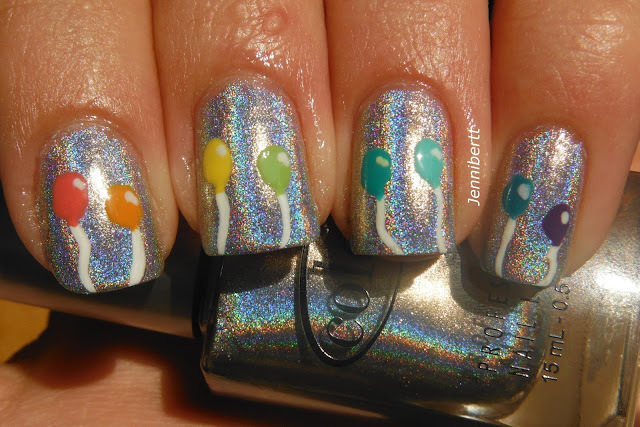 So, it's time to announce the winner of the January Amateur Nail Art Contest. You may remember the rules for this was that you had to either not have a blog, OR have a blog with less than 50 followers. The theme was to pick any day from the New31DC as your mani. Sadly, there was a little bit of hiccupping with the voting, so not everyone who wanted to join could, but I'll get that fixed for February. So, drum rolls at the ready. Who got the most votes ?? Congratulations to Claire Kerr from Kerruticles with this stunning For Audrey mani with a water marble accent. Isn't it heavenly ? Well done Claire ! If you'd like to do a guest post for The Crumpet, contact me on crumpet@the-crumpet.com. How was I NOT going to love this purple holo tape mani from Aglaya Nails ? I'm also really impressed by the beautiful, clean photography on this blog. 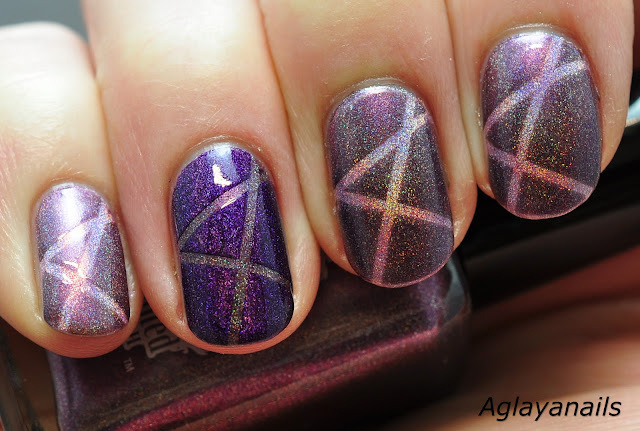 and the cleverness of this stamping / gradient mani from Light Of The Moon Nails. Finally, a shout out to Shelby at Nail To The Chief for creating the sort of mani I always wish I could do .. but can't. One final comment - a couple of the blogs mentioned above now have over 50 followers - this is because they have grown throughout the month of Janaury. I am thinking of changing this limit though for February to allow more people to take part.